The NTN-SNR company is a leading manufacturer of car bearings that uses the state of art technology in their production. The innovation and quality of NTN-SNR bearings is best illustrated by the fact that they make OE parts for eight out of nine best-selling European cars. In addition, their invention ‘ASB technology of magnetic sensor embedded in the bearing’ has contributed to this French company participation in production of original parts also in the German automotive industry. FAI Automotive is UK-based manufacturer with 40 years long experience in the production of automotive spare parts. Their offer covers the complete passenger and light commercial vehicles program for all European and Japanese car manufacturers. FAI spare parts are made according to ALL MAKES system and they provide an excellent price-quality relationship. Wulf Gaertner Autoparts AG manufactures and markets under MEYLE brand premium quality automotive spare parts for passenger cars, vans, and commercial vehicles. Their specialty is a manufacture of HD parts which is an improved version of OE parts that have not proved as good enough. The Quality of MEYLE Products has been affirmed worldwide in the entire automotive industry. All MEYLE-HD parts have a 4 year warranty. LEMFÖRDER provides high quality parts and components for axle mounting, steering and wheels that guarantee maximum safety for passenger cars and commercial vehicles. This German manufacturer rages on track for decades meeting the highest standards, both in quality and in production development concepts as well as in the very products. 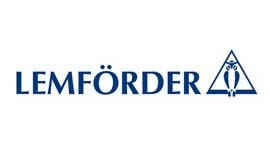 LEMFÖRDER is a reliable partner and premium quality supplier for all types of vehicles. Germany-based company ContiTech AG is one of the leading suppliers to the automotive industry in the segment of belt drives (timing belts, V belts, PK belts, PK elastic belts) used as original equipment. ContiTech is active in 26 countries and 75 manufacturing plants with more than 40 R&D facilities and market organizations. GATES is the global leader in timing belt innovation with an experience of a century in providing premium OE parts and services. Gates global network of R&D centers works closely with almost all OEMs in the world when making new vehicles. This strong relationship allows Gates to manufacture products that meet and prevail OE specifications. HUTCHINSON is a part of TOTAL chemical division and market leader in the manufacture of rubber parts in all three segments where they market products – automotive market, industrial market and the consumer market. The global business structure in HUTCHINSON allows it to fully meet the needs of customers regarding the level of quality, continuous improvement of products and worldwide supplying. Textar is a leading member of TMD Friction Group, one of the world’s largest brake system manufacturers from Leverkusen, Germany. In addition to being a supplier to the world’s biggest automobile manufacturers, Textar makes a wide range of replacement brake pads, brake shoes, and brake discs for passenger cars and commercial vehicles. 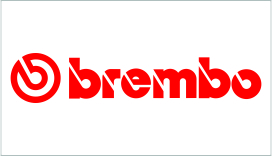 Brembo offers every vehicle the quality and performance of a global leader in braking systems. The high level of technology and the company’s vast experience producing systems for major car manufacturers, combined with complete control of the production process, allows Brembo to provide the widest and most reliable range of spare parts, covering more than 96% of the vehicles on the road today. BOSCH spare parts amaze with their quality, reliability and innovative technology. The quality and efficiency of BOSCH brake components are due to the constant development always at the top technology level. Car mechanics and consumers throughout Europe may in every aspect rely on Bosch braking systems. HELLA PAGID Brake Systems is one of the leading global manufacturers of brake systems in the aftermarket. They have decades of experience as a manufacturer of OE parts, and the competence of one of the largest such organizations in the world. HELLA PAGID brake systems combine expertise and premium products distinguished by safety, durability and excellence when braking. Wulf Gaertner Autoparts AG manufactures and markets under MEYLE brand premium quality automotive spare parts for passenger cars, vans, and commercial vehicles. MEYLE assortment also includes brake pads, brake discs, brake shoes, brake drums, cylinders and other parts required for a long and safefunctioning of the braking system. MINTEX is a synonymous of brake products for over a hundred years and a part of TMD Group – one of the largest global manufacturers of brake materials, original brake parts for passenger and commercial vehicles, and aftermarket products. MINTEX products are admired for their premium quality. Every product sold under MINTEX brand is a result of a long and rigorous research. With MINTEX products drivers can feel safe every time when stepping on a brake pedal. SACHS brand under the ZF corporation has the status of one of the most wanted manufacturers in the market because of impeccable quality they provide in power transmission and differential systems. Cutting-edge technology and organization of production are just some of the reasons that SACHS is the OEM supplier for most car manufacturers in the world. In the aftermarket, one can have complete confidence in SACHS brand, just like millions of drivers around the world. FTE Automotive, formerly known as FAG, is exclusively dedicated to manufacture of high-quality hydraulic brake and clutch systems for passenger cars and commercial vehicles. Their products have been tested for precision, safety, durability and comfort in cooperation with major R&D centers in automotive industry. FTE Automotive parts have an excellent reputation among car manufacturers and car repair professionals because of their quality, durability and environmental compatibility. VALEO is globally positioned as one of the largest independent manufacturers of spare parts and equipment for motor vehicles. One of the main features of VALEO certainly make the innovation, quality and reliability. Valeo Braking Systems cover all European vehicles, especially Italian and French cars where Valeo had achieved a quality equivalent to the original. Wulf Gaertner Autoparts AG manufactures and markets under MEYLE brand premium quality automotive spare parts for passenger cars, vans, and commercial vehicles. Their specialty is productions of HD parts which is an improved version of OE parts that have not proved as good enough. The Quality of MEYLE Products has been affirmed worldwide in the entire automotive industry. All MEYLE-HD parts have a 4 year warranty. Besides the comprehensive central line for production of motor oils and lubricants, British company Comma Oil & Chemicals encompasses a complete range of hydraulic fluids, greases, spray paints, maintenance consumables, oil and fuel additives, hand care products, antifreeze & coolants, screenwash, de-icer, and speciality products for vehicle maintenance. Poland based company Rezaw Plast was founded in 1982. It specialises in manufacture of rubber floor coverings and pads for car and truck trunks. Modern equipment, latest technology, ISO 9001-2008 standard, highly qualified staff and modern management style make a guarantee of high quality products. SONAX company is best known European manufacturer of car cosmetics based in Germany. Half a century long tradition in the production of high-quality and technologically advanced products for professional and personal use in cleaning and maintenance of vehicles, make SONAX absolute leader in the global market. Motor Service International is a group that has PIERBURG brand under its auspices. As a longtime partner of the automotive industry, PIERBURG develops innovative components and system solutions for air supply and emission control for oil, water and vacuum pumps. Low emissions, reduced fuel consumption, reliability, quality and safety drive innovations of this prestigious manufacturer. BOSCH spare parts amaze with their quality, reliability and innovative technology. They go to production only after fulfilling very strictly set conditions. With the most sophisticated bulbs, wiper blades and brake systems, BOSCH provides premium quality spare parts for more safe and comfortable driving. They are available for almost all types of vehicles in the same first-class quality as original equipment. BREMI is an original equipment manufacturer and supplier of car ignition products. It is a part of the Aichele Group. The company specializes in the development and marketing of ignition systems as well as heating systems. In this segment, BREMI is one of the leading suppliers to the automotive industry in Europe. Audi, BMW, Fiat, Rover, Seat, Skoda and Volkswagen all use Aichele Group products as original equipment, at the global level. BANNER batteries with the bull symbol have become the universally renowned as a high quality product of advanced technology. Their quality is best illustrated by the longtime trust of the leading automotive manufacturers such as BMW, VW, Skoda, Mitsubishi, Aston Martin, Volvo, Suzuki, MAN, Scania and many others. BANNER batteries are equally reliable whether in the extreme cold of Scandinavia or the heat of Africa and Asia. Ever since 1899, Hella sets guidelines in technology of lightning and electronics. Hella products are distinguished by the flawless quality, complete safety and comfort when driving. As a manufacturer for automotive industry, Hella is one of the top 50 global suppliers for all the leading vehicle manufacturers, but also customers in the aftermarket. The French company VALEO ranks among the world’s top manufacturers of auto parts and accessories. VALEO shassis parts made ​​of metal and plastic, lighting equipment, cooling systems, window lifters, trunk dampers, and the rest of VALEO range is characterized by the highest level of quality recognized in the global market. Wulf Gaertner Autoparts AG manufactures and markets under MEYLE brand premium quality automotive spare parts for passenger cars, vans, and commercial vehicles. Their specialty is productions of HD parts which is an improved version of OE parts that have not proved as good enough. The Quality of MEYLE Products has been affirmed worldwide in the entire automotive industry. AUTOMEGA is known for its high quality parts, assortment and a perfect ratio of price and performance. 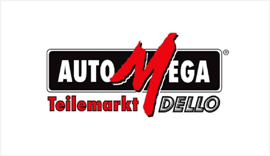 As a member Dello Group, AUTOMEGA shares rich knowledge and experience of the 115 years old company. The market is supplied with over 10,000 different items for Opel, VW, Audi, PSA (Peugeot and Citroen), Dacia, Renault and Ford, which facilitate the cars lifetime. Robert Bosch GmbH was founded in Germany in 1886. It is the largest global supplier of automotive parts that delight in their quality, reliability and innovative technology. Since 1899 Hella sets guidelines for lighting and electronics technology . Their products are characterized by flawless quality, complete safety and driving comfort. As a manufacturer for the automotive industry, Hella is one of the 50 world’s top suppliers of automotive industry components used by all leading vehicle manufacturers, but also customers in the aftermarket. Brand PIERBURG workes under Motor Service International group. As a longtime partner of the automotive industry, PIERBURG develops innovative components and system solutions for air supply and emission control for oil, water and vacuum pumps. Low emissions, reduced fuel consumption, reliability, quality and safe driving are the strenghts that affect innovations of this prestigious manufacturer. VICTOR REINZ from the U.S. corporation DANA is one of the leading manufacturers of sealing compounds and parts in automotive, heavy machinery and industrial market. Victor Reinz premium sealers are made by the latest technology and used in all modern engines of today. In addition, as one of the best manufacturers in this group of products, Victor Reinz guarantees full coverage of all cars in the aftermarket. NPR Europe is a branch of Japanese corporation NPR – Nippon Piston Ring, renowned piston ring manufacturer. Given that the major shareholder in NPR corporation is TOYOTA, it places them as a very strong Original Equipment Manufacturer. NPR Europe has been supporting global engine manufacturers in producing high-quality piston ring for 30 years. Ferrari, Mercedes Benz, BMW and many other reputable car manufacturers install NPR piston rings as original equipment. FRAM is the exclusive brand of SOGEFI Group, a global leader in filtration both as OEM and in the aftermarket. Investing a significant part of their annual turnover in Research & Development, the SOGEFI Group is constantly introducing technological innovations that improve the efficiency and design of its automotive filters. Wulf Gaertner Autoparts AG manufactures and markets under MEYLE brand premium quality automotive spare parts for passenger cars, vans, and commercial vehicles. MEYLE also supplies aftermarket with air filters, oil filter, fuel filters, and cabin filters whose quality approximates the world’s leading filter manufacturers of filters, yet the price is far more acceptable. VALEO is an important supplier of OE filter particles and combined filters for most vehicle manufacturers. From development to production, Valeo factory integrates 100% of the production process: producing a high quality filter aids and using a unique production process of connecting high pressure water jet (Valeo’s registered trademark) which provides precise filtration without reduction of air flow. Spain-based manufacturer of PBR filters, a property of SOGEFI Group produces replacement filters for most international car brands for more than 40 years. The PBR production line has air and oil filters, as well as fuel and diesel filters. Their quality places them right next to FRAM filters from the same Group. They provide excellent quality at an affordable price. British company Comma Oil & Chemicals was established in 1965. as a family firm for production of motor oils, lubricants, and car care and maintenance products. Since 1989. it has been operating as part of the world’s largest petroleum and petrochemical corporations Exxon Mobil, which ensures continuous and uninterrupted access to high quality raw materials and cutting edge technology, and the most advanced technical knowledge. Comma is a member of the ACEA – European Automobile Manufacturer’s Association. MOBIL is one of the most valued brands of motor oils and lubricants worldwide, especially when it comes to superior manufacturing technologies and the most advances products for engines of the drivers who want the best in their vehicle. MOBIL oils are made from the highest quality synthetic base oils and additives of the highest quality available on the market. They are adjusted to petrol and diesel engines with and without turbo charging. MOBIL products especially well protect modern engines with multivalve techniques and direct injection at high loads. BOSCH supplied the industry’s first fuel injection system with a high pressure electric fuel pump in 1967. Since then, Bosch continues to be at the forefront of fuel system technology, garnering recognition throughout the industry for innovation and superior product quality for domestic, Asian and European vehicles. Bosch supplied the world’s first high-voltage ignition system in 1902 and has long been known for premium quality European ignition parts. Bosch also offers an equally superior line of ignition products for Asian cars and light trucks. Wulf Gaertner Autoparts AG is a renowned German manufacturer of a wide range of auto parts, known in the market under the brand Meyle. At present the company’s assortment of auto parts covers over 15,000 items for vehicles of European and Asian origin. High-quality, carefully selected materials, precision tools, product design, successfully organized production lines and experienced professionals are the spine of MEYLE quality production. HUCO are a West German company with over 30 years of experience in the Automotive Industry. The range of pumps they produce are for universal fitment and come with a mounting bracket allowing them to replace any original mechanical or electric pump(excepting injection pumps). As one of the world’s leading AC car compressor suppliers, DENSO knows these parts better than anyone, because they are originaly designed and developed by Denso. 100% OE quality DENSO AC compressor allows extremely small proportion of returns – which provides peace of mind to distributors, services and drivers. A wide range of Denso AC compressors include a piston compressors (Swash Plate Type) and rotating (Vane Tie and Scroll Type) as well as electric compressors for hybrid vehicles (Scroll Type). HELLA is one of the leading suppliers of vehicle air conditioning and engine cooling products in the free parts market today. HELLA program includes everything you need for servicing and repairing air conditioning systems ranging from expansion valves to evaporators -compressors, condensers, filter dryers, expansion and throttle valves, evaporators, switches, HVAC blowers and oils. HELLA engine cooling systems are real masterpieces produced by inhouse engineers: ranging from radiators, expansion tanks, Visco® fans and clutches, condensers, radiator fans, intercoolers, additional heating elements through to water pump kits – each of them technically developed and in top quality. SACHS has been chosen by the world’s leading vehicle manufacturers as original equipment for consistent superior ride-control with the highest quality. Whether it’s a Shock, Strut or Insert, SACHS products are built to exacting standards leaving no room for shortcuts or compromise. SACHS have a range of shock absorbers from standard to lowered vehicles incorporating shortened body shock design for maximum comfort and handling. Meyle stands for high quality parts and innovation. As with all Meyle parts, shock absorbers have a two year unlimited mileage warranty and are at least of matching OE quality. All Meyle parts are rigorously tested against the OE part before release and these quality and engineering checks will continue whilst the part is still a live production item. FAI Automotive is UK-based manufacturer with 40 years long experience in the production of automotive spare parts. FAI coil springs are produced with top quality Silicon Chrome steel matching British Standard BS970 grade 685H57*. All FAI springs are manufactured using parallel wire and the latest cold coiling technology reducing the risk of premature failure compared to tapered wire springs. They guarantee years of worry free driving. Bosch supplied the world’s first high-voltage ignition system in 1902 and has long been known for premium quality European ignition parts. Bosch also offers an equally superior line of ignition products for Asian cars and light trucks. All Bosch ignition components are designed to be identical in fit and performance to the original equipment parts they replace. With a large range of OE products, you can be confident with Bosch ignition coils. MEYLE manufactures ignition coils that are rather reliable at low temperatures. The kantai thread of latest generation characterized by a particularly long life allows rapid development of temperature in the combustion chamber. In addition, Meyle intelligent heaters first urn on top, and then suddenly reduce the current input which significantly relieves the battery. In this way, the engine starts more quickly, saving the battery, and thus preserves the environment. For decades, DENSO Spark Plugs have had a strong reputation for innovation and quality – guaranteeing optimum engine performance for automotive, motorcycle, marine or small engines. 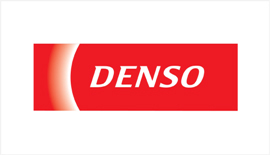 Today, DENSO continues to push the technology barrier even further. The comprehensive DENSO Spark Plug programme includes Standard, Platinum, Twin Tip (TT), Super Ignition (SIP), Iridium Power, Iridium Tough and Iridium Racing plugs. In BOSCH assortment you will quickly find appropriate wipers for each vehicle type, passenger cars and commercial vehicles. They guarantee maximum safety and long life with optimal wiping results. BOSCH wipers provide the highest quality of wiping, innovative design and maximum comfort. Having them in the heavy rain and at high speeds every driver can rely on the best possible visibility. New MEYLE wiper blades in individual packages come in 30 to 70 cm length along with the set of 10 adapters enabling them to be installed on any vehicle. They are quickly installed with included adapters, and have highly resilient rubber material through all seasons, improved aerodynamics for clean front and rear windows, perfectly contoured for clean front and rear window. VALEO is globally recognizes as one of the largest independent manufacturers of spare parts and equipment for motor vehicles. One of the main features of Valeo certainly are the innovation, quality and reliability. Valeo wiper blades are easily and quickly installed and provide the best value for the price, with a guarantee of Valeo quality. HELLA wiper blades are small technical masterpieces. In the course of their service life, they wipe thousands of litres of water from the windscreen. They can handle fog streaks as well as snow, ice, insects and dirty water from the vehicle driving ahead. Hard work, and good reason to choose HELLA wiper blades, when an exchange is necessary. As small as they may be – their contribution to road traffic safety is considerable. Klaxcar complete wiper blade range includes 5 types of wiper blades: modulo – flat blades, classic line – standard universal wiper blades; the revisited packaging with the dominance of red colour allows an easy identification; specific line – sets of wipers for particular applications; the range is easily distinguished from the Classic line thanks to the new packaging with blue as the main colour; sport line (with spoiler) – the checkered racing flag on the packaging allows to easily recognise the Sport line. Main advantages of Klaxcar wiper blades are the use of pure natural rubber for a better wiping, silent wiping and easy installation.